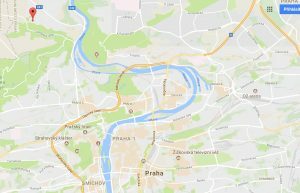 The Czech University of Life Sciences Prague (CULS) is situated on a large and beautifully landscaped campus in a quiet and study-friendly environment, at the prescints of the golden city of Prague, in the heart of Europe. Prague offers a wealth of attractions and it is a popular tourist destination. Book your accommodation on time. 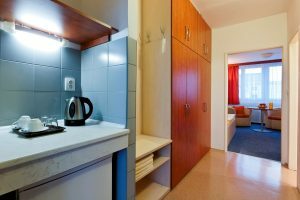 430 CZK (~€18) per night. It is 5 minutes from the university. Kamýcká 961/129, 165 00 Praha-Suchdol. You should book your room in the student hostel as soon as possible as only 8 rooms are available. Click on the map for the university location. Click on the image for the hostel location.